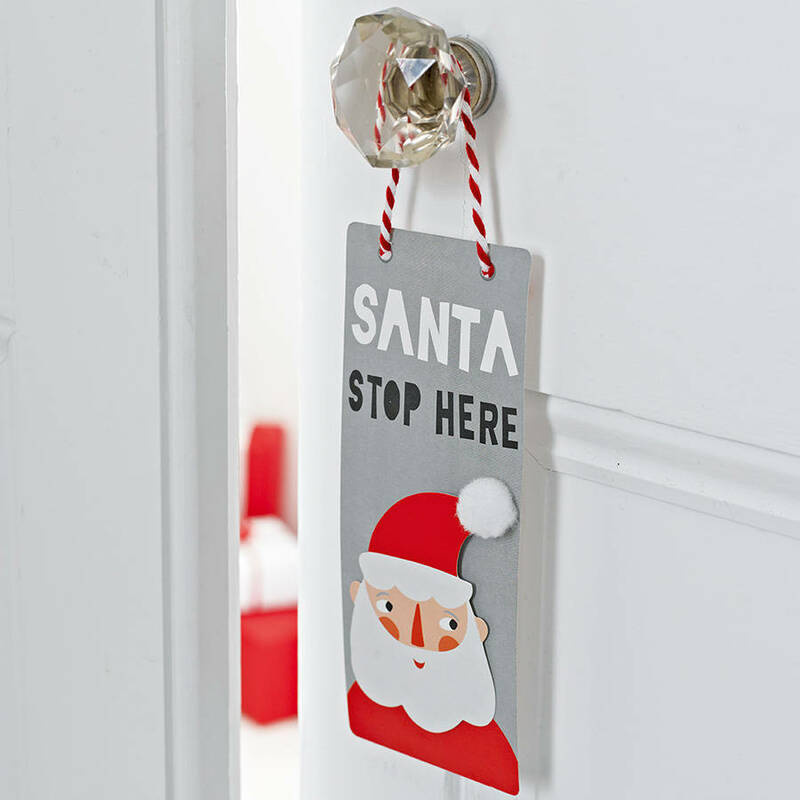 Help build the excitement up to Christmas this year with our festive Santa Stop Here hanging door sign. Featuring a paper cut out Santa Claus with real pom pom, this hanging decoration also comes with a red & white ribbon to hang on your bedroom door. Whilst you wait for Santa, why now hang our festive paper chains in your home and add an extra festive touch to your home.